And I answered, "How else shall you be exalted except by crucifying madmen?" But as they stood looking up at me one called out, "For what art thou seeking atone?" Then said a fourth, "Behold, how he smiles! Can such pain be forgiven?" "Remember only that I smiled. I do not atone -- nor sacrifice -- nor wish for glory; and I have nothing to forgive. I thirsted -- and I besought you to give me my blood to drink. For what is there can quench a madman's thirst but his own blood? I was dumb -- and I asked wounds of you for mouths. I was imprisoned on your days and nights -- and I sought a door into larger days and nights. And now I go -- as others already crucified have gone. And think not we are weary of crucifixion. 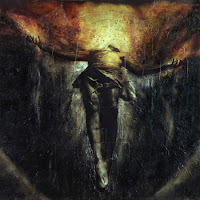 For we must be crucified by larger and yet larger men, between greater earths and greater heavens."